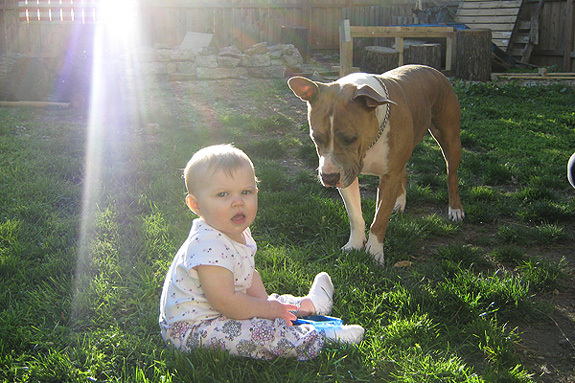 Our pit bull’s name is Daisy, and when my daughter was pregnant, she always had to be right next to her and cuddled. After the baby was born, Daisy always has to lay next to her and will bring toys to her and even cleans her face and hands. When the baby is outside playing, Daisy watches her the entire time (as shown in picture) and will bark if she is doing something she shouldn’t. Daisy has even moved sticks and things away from the baby when she is outside playing. When the baby is asleep in her crib, Daisy sleeps under it and will jump up when she wakes up. Syvanah will giggle when she drops her little snacks down to Daisy, and Daisy just patiently waits for the next treat. Syvanah will cuddle with Daisy’s back and drink her bottle to fall asleep, and Daisy will not move. Syvanah is now 7 months old, and Daisy is almost 2. They are best of friends. I have never seen a bond between a dog and baby this strong. Its almost like Daisy feels like she is Syvanah’s mama and loves her that much. It’s amazing to watch them. This is truly an amazing story. 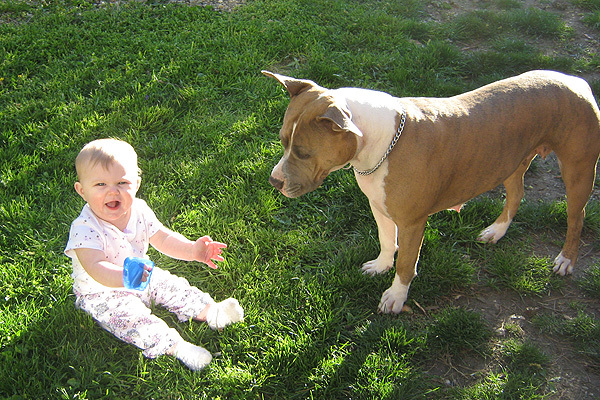 I’m sharing it with people who don’t believe pit bulls are safe around children! Just looking at the expression on Daisy’s face and you know she means business. Awesome story. That is so funny….I have a blue pit her name is Daisy and she too is a little mother to my three year old! They have been like two peas in a pod since she was a baby and my Daisy is super protective of her too. I love these kind of stories! This story brings out the true pit bull for all to see! Thank you. @Matt.S Thank you Matt! We love our devoted fans! 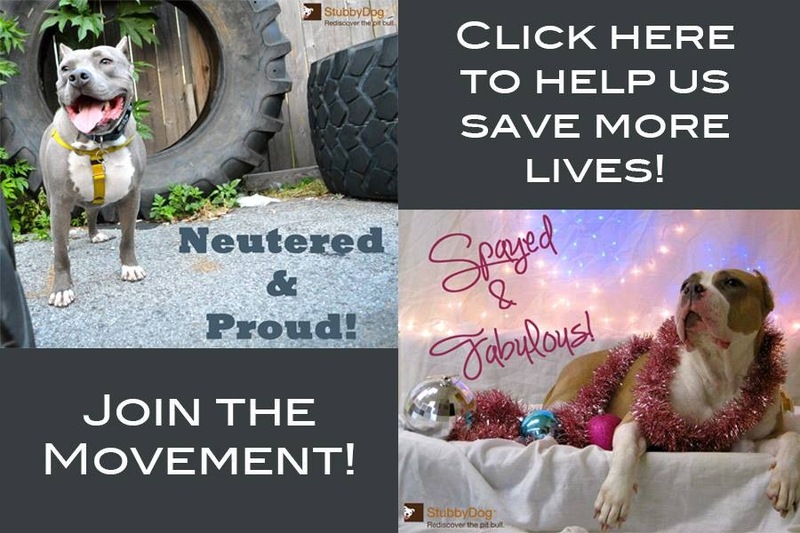 And we love bringing you all these stories of the pit bull’s true nature. I love that this pit has found such a great purpose in life. How lucky for them both!